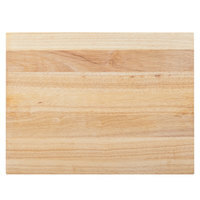 Cutting boards are some of the most important kitchen tools you need to efficiently prepare ingredients for entrees, sides, and desserts. 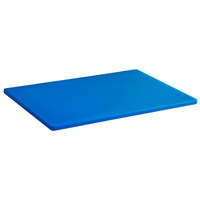 Not only do they protect your countertops from cuts and slices, but they also provide a stable prep surface for cooks and chefs to use. 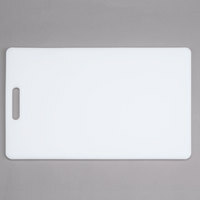 Whether you’re chopping vegetables for salad, slicing bread for sandwiches, or mincing garlic for sauce, we’re sure to have the restaurant cutting boards that will make your day-to-day tasks safer and more convenient. 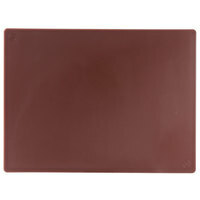 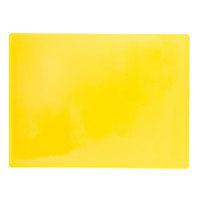 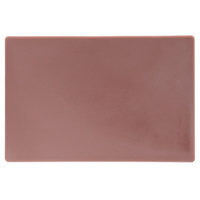 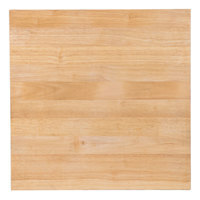 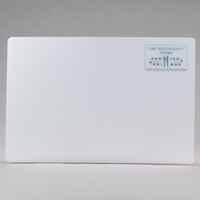 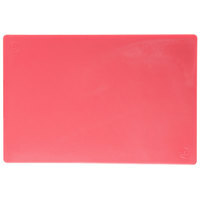 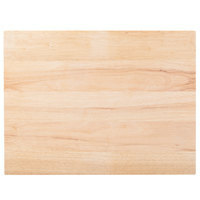 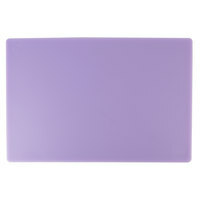 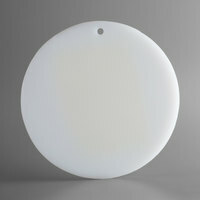 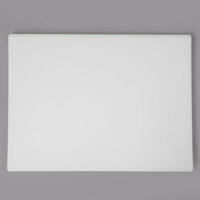 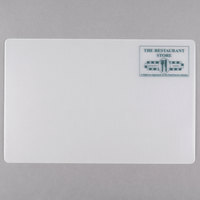 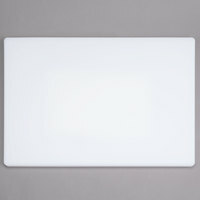 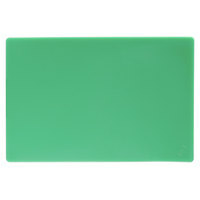 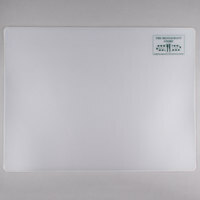 You can buy chopping boards in bulk with wholesale pricing for added savings. 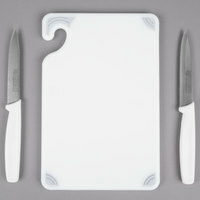 We offer a varied selection of cutting boards that are ideal for anything from prep to presentation! 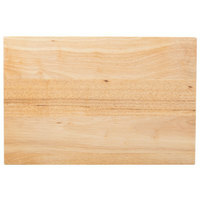 Wooden boards can be used as serving pieces for charcuteries, cheese assortments, and meat samples. 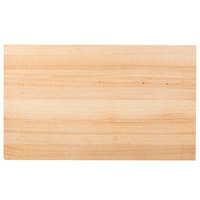 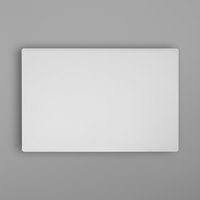 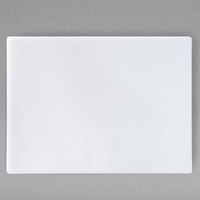 However, if you’re looking for restaurant cutting boards that are designed mainly for back-of-house applications, then browse our various plastic options. 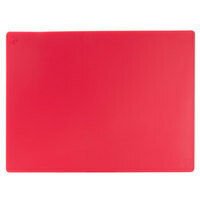 Choose from color-coded cutting boards that help prevent cross-contamination, and check out our flexible styles that can be shaped into a funnel for easy food transfer. 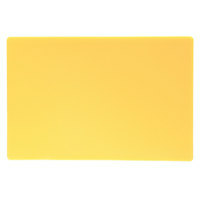 Good - Made with high-density polyethylene, this cutting board boasts a non-porous surface so that it won't absorb juices, stains or unpleasant odors. 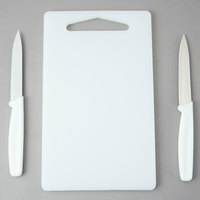 You can also use it in your commercial kitchen day after day without dulling your knife blades, which your chefs are sure to appreciate. 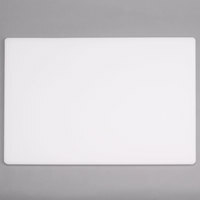 Better - This San Jamar cutting board is constructed of a co-polymer material that is heat, chemical, and warp resistant for long lasting use. 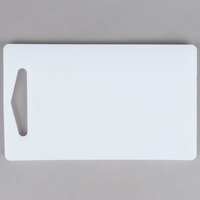 With an embossed ruler that shows both inch and centimeter measurements, this cutting board is extremely easy to use, and even easier to store with the built-in safety hook!